I have been writing about living out real and authentic relationships with other sisters in Christ as we work on our SLFH #No Filter Women’s Events. 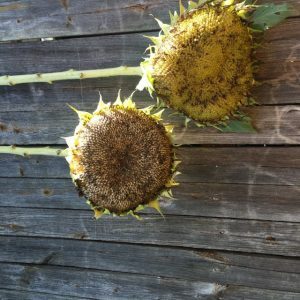 I have talked about getting offline and spending face to face time with others, and today I want to address another topic that may be difficult, but necessary. What’s worse than gossiping with your friends? What’s worse than gossiping with your husband? Gossip also makes us lose our integrity. It automatically makes someone distrust you. Because if you’re talking with someone about others, chances are you will talk ABOUT that someone with OTHERS. When I hear someone gossiping, I wonder what they are saying about me when I’m not around. Everyone talks about the culture going downhill and the generations we are raising being doomed. I say NO. We can change the culture and the generations to come by standing up for Truth, living differently, living with love, honor, respect, and integrity. We can truly care for others above ourselves. And if we do that, why would we want to speak negatively about others? Our intentions should be for their well being. Too often our own well being comes first and we put others down to make ourselves feel better. And please don’t think I’m immune. I’ve struggled with this area. Quite a bit! It’s too “normal” for our culture to engage in this behavior. But I’ve made it a point to steer my conversations, especially those within the walls of my home with my family, down a path that is honorable to God and others. It takes work and intention. But it is necessary. I told a story recently about many years ago how I found myself in an awful situation all because of my words. My ugly self was clear for all to see and since then I have always remembered, my thoughts dictate my behavior. Want to stop gossip? Start with having good thoughts about others. 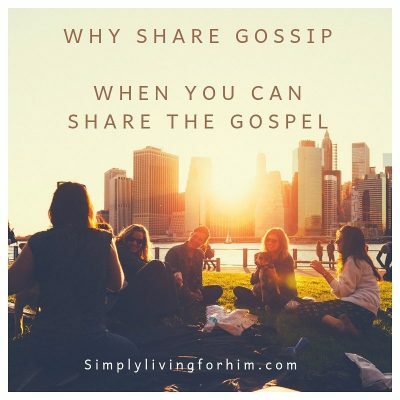 Really, if we want to build strong Christian friendships- the kind that I think can change the culture- we need to purposely and intentionally eliminate gossip. Because friendship can never develop true trust otherwise. Let me explain. If I have a deep dark struggle or an issue that I want to confide in with someone, it becomes extremely difficult to do so when I haven’t developed mutual trust. And it is really hard to trust someone when I see them talking (gossiping) about others. I remember many years ago mentioning to another sister in Christ that I had some difficult past issues. Her response as her eyes lit up was, “Do tell…” like it was some sort of juicy detail that she wanted to be dished out. I didn’t tell. In fact, I sat in my shame longer. I had observed the way this person talked about others when they weren’t around and it assured me that my struggle and issue I wanted to confide in someone, could not be her, because her behavior led me to believe that I could become the object of a juicy conversation with others. Because if someone is talking about others with you, chances are they are talking about you with others. Do you see what I mean? It isn’t just the negative aspect of gossiping in itself that I am talking about. It is the consequences. You lose your integrity. Your trustworthiness. And a friendship that could have bloomed may never get off the ground because friendships need to be built on a rock solid foundation of trust- better yet, they need to be built on the Rock– Jesus. He should be the foundation of our friendships and how we behave. So I challenge you this week- be a trustworthy friend. Build friendships that can share the deepest and even darkest feelings in confidence. Never ever break that confidence. We all struggle with this (myself included!) which is why I want to talk about it- the darkness flees when we bring it to Light. So, yes, it is a struggle, but admitting it and calling it out is the first step! Sisters that want to live out the Gospel have integrity. They are trustworthy. And they truly do consider another sister’s needs above their own. I believe if we can build these kinds of godly friendships, we can change the culture. It sure needs it. Want to bring a SLFH #No Filter Women’s event to your area? These day events are meant to equip and inspire as we live as true sisters in Christ. We share in each others’ joys and lift each other in hardship.